Desire S users left out in the cold already? Sense 3.0 staying at dual-core level? The new HTC Sensation debuted yesterday with its new fancy Sense 3.0 overlay, but it seems the UI might not be ported to older phones. Those that have just forked out for the new HTC Desire S and Incredible S might have thought that they'd be getting the next-gen overlay, but HTC told TechRadar that it is 'assessing' whether it can be ported across. At a journalist briefing, the Taiwanese brand said that due to the fact the Sense 3.0 overlay, which offers 3D scrolling and launchable applications from the lock screen, makes use of the dual-core innards of the HTC Sensation, it has to decide whether other phones are 'capable' of managing the same feat. HTC repeatedly pointed out that user experience quality was paramount when designing the UI on its phones, but did admit that 'elements' of Sense 3.0 might make their way to older handsets, although it hadn't decided on which they might be. HTC said the Sense 3.0 update featured "the most changes we've made to HTC Sense in one go", which means users of the older phones might feel a little aggrieved at not getting the new version. 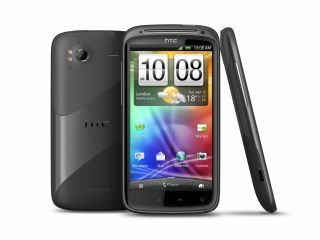 The brand has precedent here: when the Desire HD was unveiled with a raft of new features, such as downloadable themes and an advanced notifications bar, it was widely expected to filter down to the popular HTC Desire - but that update never appeared.